* Gift packing for each item. 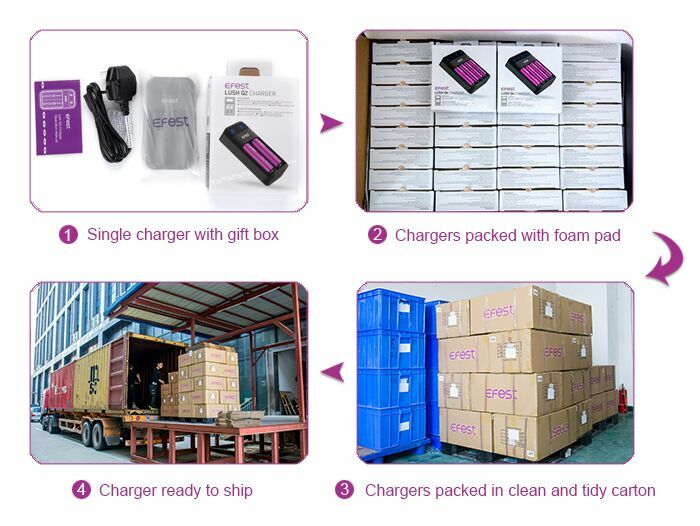 Standard weight and outer package for all shipping method. Tracking NO. will be sent to you after delivery, and we will track the goods for you until you receive all of them. ² We accept Alibaba Trade Assurance, Visa, Paypal. Bank transfer. western union and Paypal payment methods before Productions. Click here, welcome to get free samples! 1: Focus on mods battery and charger over 8 years. 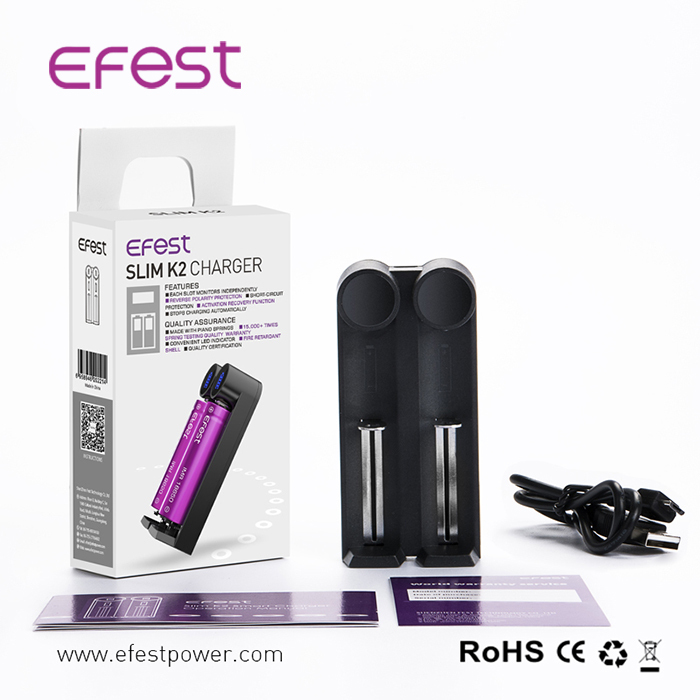 2: ORIGINAL EFEST FACTORY WHOLESALE BOTTOM PRICE. 3: UL, FCC, CE, UN38.3, MSDS and Global Insurance are availiable. 4: QUICK SHIPPING WITHIN 3 DAYS. 6: FACTORY WARANTTY. SUPPORT 7 DAYS REFUND. 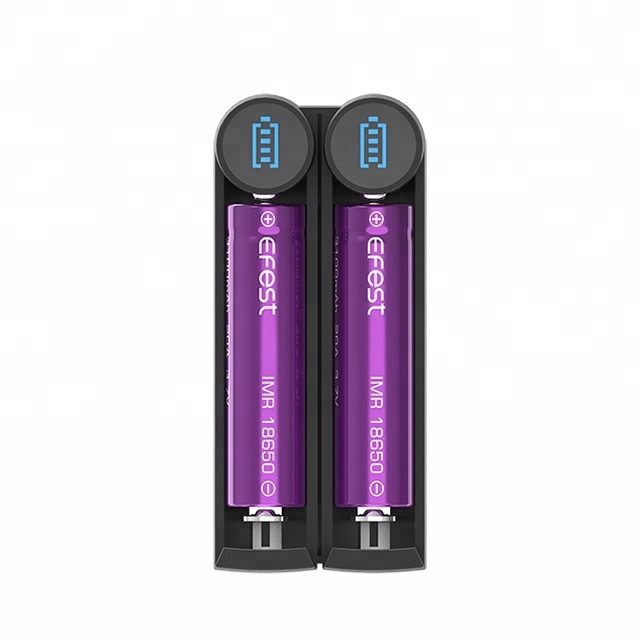 Efest lithium batteries and chargers have passed many international testing, such as UL,CE, RoHs, UN38.3, MSDS,etc. 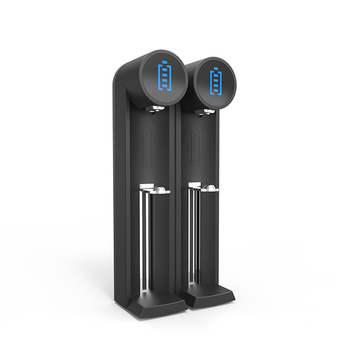 Efest company has cooperated with many big distributors in many countries, such as USA, CA, UK, France, Italy and so on. OEM. ODM service are available. Welcome to contact us any time! bag/Car charger/ Battery replace wrap!!! Welome to contact us freely -24 hours! Q:Do you have MOQ ? Q:Which product is hot sale in your company? Q: Does your product come with a product warranty? Q:Which shipping method you usually take? A:UPS, DHL, FEDEX and so on. We can also ship with your own shipping agent. Click here, welcom to get free samples!